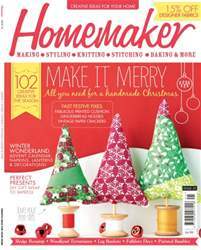 'Tis the season to be crafty and we have over 100 creative ideas for you to be inspired by in our Christmas special issue this month. Transform your home into a frosted winter wonderland with our 7 page white Christmas feature, packed with fun projects and sweet DIY wintry touches. Make sure your whole day handmade, with our steps for making pretty vintage crackers, bright and bold baubles and four ways for creating your own giftwrap. 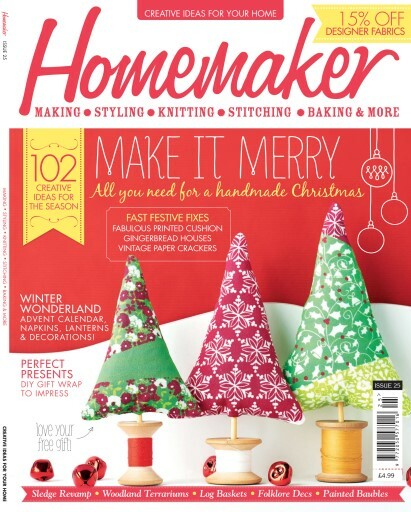 Upcycle a sledge with our latest columnist Carol Smillie, stitch cute stocking cutlery holders with Nicki Trench and keep warm whilst you craft with Eric Lanlard's recipe for hot gingerbread souffles, yum!